Looks like AC/DC don't need no stinkin' iTunes after all. 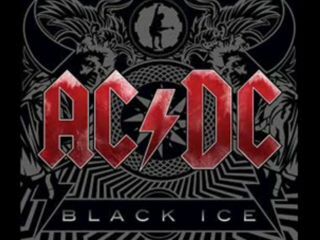 Their new album, Black Ice, is out of the gate and running. And not even real black ice can slow it down, apparently. At Wal-Mart and Sam's Club, the exclusive US retailers for the album, sources estimate the CD sold 193,000 copies in its first day (21 October) - and could move upward of 800,000 in its first week. In these downward-trending sales days, those are some serious figures. Similarly, Black Ice is selling briskly worldwide. In the UK, the album is outselling the Kaiser Chiefs by a two-to-one margin, and could top over 120,000 by the end of the week, assuring AC/DC a number one debut by Sunday. Austria, Belgium, Canada, Denmark, France, Holland, Ireland, Italy, Norway, Portugal, Switzerland and Australia (duh) - Black Ice is dominating the charts in all of these markets as well. And just think, Dr Pepper didn't have to spend a dime on any of this. Tsk, tsk.